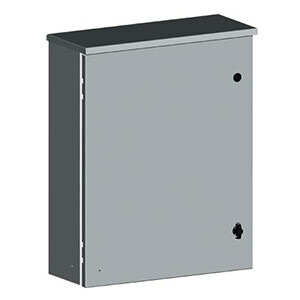 The SCE-RLP Series of weatherproof electrical enclosures are designed to house electrical controls, instruments and equipment in an outdoor, weatherproof environment. Protects against rain, sleet and snow. ANSI-61 gray powder coat inside and out surface. Optional panels are powder coated white.